Brent Allen Automotive is proud to set standards as Logan, Utah's leading auto repair shop. For the best auto repair service in Logan, UT, give us a call or stop by our shop! At Brent Allen Automotive, we show our customers in Logan and the entire Cache Valley area what to expect from a high-quality full-service auto repair shop. Not only are we adept at customer service and quality, but our knowledge of cars and their functions and parts exceeds that of any other auto repair shop in Logan, UT. One of our top priorities is to bring quality and superior automotive service to Cache Valley. We work hard and quickly to make sure that we’re always providing the top industry service in Logan for your car, truck, or SUV. Click on any of the icons below to learn more about each of our extensive vehicle maintenance and repair services. Summer’s coming and our technicians are certified to repair faulty air conditioning systems. Get it fixed today! If your car is having wheel alignment issues, let one of our trained technicians get to work on it. We offer the best brake repair in Logan, Utah. We’ll help you keep the essential parts of your vehicle working properly. The engine is the heart of the vehicle, so let our hardworking employees take care of it quickly and efficiently. When the exhaust on your car gives you cause to worry, let our professionals do what we do best. Our competitively-priced oil and lube service in Logan, UT will help extend the life of your engine and vehicle. When the time comes to renew your vehicle registration, bring your car to us for a speedy state inspection. Possible issues with your suspension system? Bring it in to get it looked at today. Need new tires, or just looking to get them rotated? We can help you with both. Give yourself the peace of mind you deserve with a 60 point pre-trip inspection. Vehicle tune-up services are our specialty! Use Brent Allen Automotive as your one stop shop for vehicle repair. Make sure your vehicle is prepared and ready for the cold winter months. 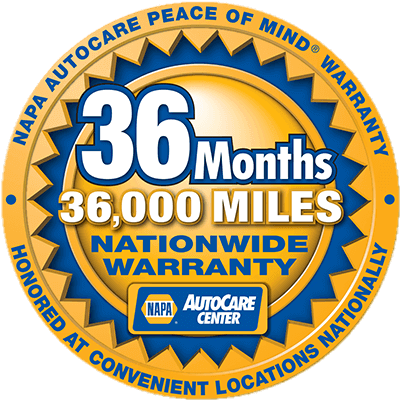 We proudly provide a 36,000-mile, 3-year nationwide warranty on all parts and labor on approved repairs. We stand behind our work and give you the assurance and peace of mind you deserve. Don’t take our word for it! Read what our past clients have to say about Brent Allen Automotive.